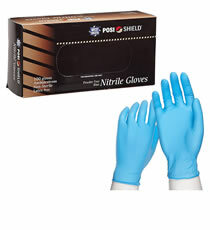 POSI Shield Blue Disposable Nitrile, Industrial Grade, Powder Free, 5 mil, 100 gloves per box. Color Blue. Size Large.